If there is one thing that Zoho can be given credit for its the company’s numerous productivity tools that work well together, including chat apps and CRM tools. Zoho Books is an online accounting software that can track projects and automatically download data banks. Already, Zoho Invoice is capable of doing what Books can do, but the latter carries is loaded with more accounting functions, invoice templates and reports. Zoho Books sports mobile apps for most platforms, and can assist freelancers and consultant teams to track expenses, time of transactions, client details, payments due, vendors used, account balances and overdue invoices. With this cloud-accounting service, the user can create invoices from a range of invoice styles with your own personal logo, custom messages, terms and conditions, and links to payment options. Zoho Books allows the demystification of the accounting process through double entry bookkeeping, which automatically creates a journal and moves finances from one account to another. The system also applies debits and credits to appropriate accounts. The user can manage all their projects from one place. They can create tasks and log time on their mobile app, or from the web, or just clicking the timer and heading straight to work. With Zoho Books it is possible to finish work on or ahead of time. 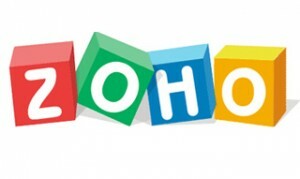 Zoho Books allows for the creation, editing and management of all customers and suppliers. The user can stay informed on all the activities and contact information is updated around-the-clock. Zoho Books allows for an unlimited amount of users, and with security and admin settings, the main user can set admin roles to specific users. With the click of a mouse, the admins can give clients a look into recent transactions and make payments online. Zoho Books offers users a wide range of reports on invoicing, such as: invoicing details, invoicing summary, invoice aging to tracking, and the ability to follow up on receivables. Worrying about tax time is now an obsolete thought. The tax report that comes with Zoho Books will tell you exactly how much you owe your tax authority at any point in time. Mobile Support. The user can create invoices, monitor project activity, access contact information, manage documents, view email, access the calendar, and more. The mobile app is available on most platforms including Android and iPhone. The tracking function will find anything, from billable expenses to time to project-associated tasks. The tax reports will save time and strife when dealing with the tax authorities. The main problem with Zoho Books is that the features are limited. To fully make use of project tracking tools, you will have to combine the Projects product alongside Zoho Books. The price per month is considerably more expensive than other accounting software.